Paychex, Inc. (PAYX), is a high quality company engaged in the business of providing integrated human capital management solutions for payroll, human resource, retirement, and insurance services for small- to medium-sized businesses. Paychex is a leading provider of integrated human capital management solutions for payroll, human resource, retirement, and insurance services for small- to medium-sized businesses. The company is consistently profitable and generates strong Free Cash Flow. It has historically had no long-term debt but in December it borrowed $0.8B to assist with the acquisition of Oasis Outsourcing Acquisition Corporation. I am of the opinion we are witnessing another period of ‘irrational exuberance’. I view PAYX as overvalued and would be prepared to add to my position at ~$70 or lower. I have written several articles since the beginning of December 2018 in which I have disclosed that I have acquired shares where I deemed them to be fairly valued. For the most part, however, the conclusion I have reached following a company analysis has been to patiently wait on the sidelines for a better valuation. I view myself as an optimist. When it comes to deploying new money in this current environment, however, I am a bit more pragmatic. In my opinion, this is ‘déjà vu all over again’. If you have been investing for several years I encourage you to recollect general investor sentiment just prior to the ‘dot.com’ bubble and ‘The Financial Crisis’. During these timeframes, stock prices were steadily setting ‘new highs’ and people who had never invested before were suddenly making ridiculous amounts of money….on paper. I have the period just prior to the bursting of the ‘dot.com’ bubble seared into my brain. Clerical employees at the bank with which I was employed were ’day trading’ while at work; they would take turns serving ‘in branch’ clients and placing buy/sell orders on companies about which they knew nothing. Things went well for a bit until….things suddenly didn’t go so well. The March 29, 2019 Lyft, Inc. (LYFT) IPO is a classic example of what I view as ‘irrational exuberance’. It goes public at $72 and at market close the stock is trading in excess of $78. This is a company with a market cap in excess of $26.4B yet it is unprofitable! In my opinion, and I am not alone in this camp, I think some investors have their ‘heads in the clouds’. Our current period of irrational exuberance might not be to the same degree as just prior to the ‘dot.com’ bubble. I am, nevertheless, being extremely cautious in this environment. I don’t need to look at the broad market to form this opinion. Just looking at the degree to which our investment portfolio has increased in value in recent months leads me to the conclusion that this growth is NOT sustainable. This brings us to the subject of Paychex, Inc. (PAYX). There is no disputing that PAYX has been a great long-term investment. Let’s however, have a look at its current valuation based on guidance for the remainder of FY2019 and preliminary FY2020 expectations as disclosed on the March 27th Q3 call with analysts. PAYX Q3 2019 results are for the period ending February 28, 2019 and include the results for Oasis Outsourcing Acquisition Corporation for which PAYX announced its intent to acquire on November 26, 2018 and completed December 21, 2018. 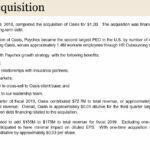 Details of the Oasis Acquisition were discussed in my December 20, 2018 PAYX article and a recap has been provided in PAYX’s Q3 2019 Earnings Presentation. Total revenue and total service revenue both grew 14% for Q3 to $1.1B and $1B with the acquisition of Oasis accounting for ~50% of the growth in service revenue. Expenses in Q3 increased ~13% with the acquisition of Oasis contributing ~12% to this growth. It is important to note that total expenses for Q3 2018 included a onetime bonus paid to non-management employees and a onetime charge following the termination of certain licensing agreements. Total expenses, excluding Oasis and these onetime costs in Q3 2018, increased ~9% from Q3 2018; this increase was primarily driven by increased headcount due to investment in the sales force technology resources and operations to support the growth in the business. 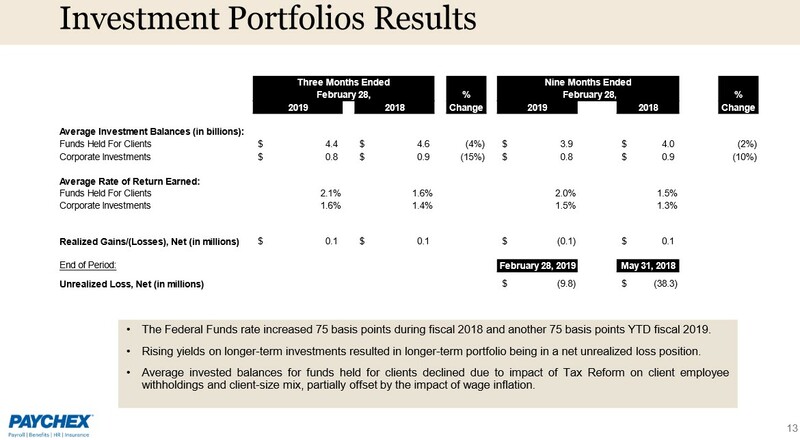 Interest on funds held for clients increased 27% for Q3 primarily as a result of higher average interest rates earned. 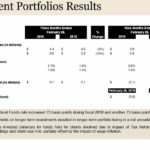 The average balances for interest on funds held for clients were down for Q3 primarily as a result of lower client employees' tax withholdings resulting from tax reform and client base mix; this was partially offset by wage inflation. PAYX stands to benefit from a rising interest rate environment in that it consistently maintains several billion dollars in ‘funds held for clients’ on which it is able to generate investment income. 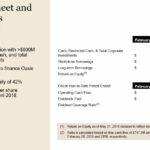 More detail on the nature of these investments can be found in Note F - Funds Held for Clients and Corporate Investments found on page 54 of 82 in PAYX’s FY2018 10-K. Naturally, there is always some interest rate ‘tipping point’ at which time further rate increases start to have a detrimental impact on PAYX’s client base and then PAYX suffers. I think we are a few hundred basis points away from this occurring. 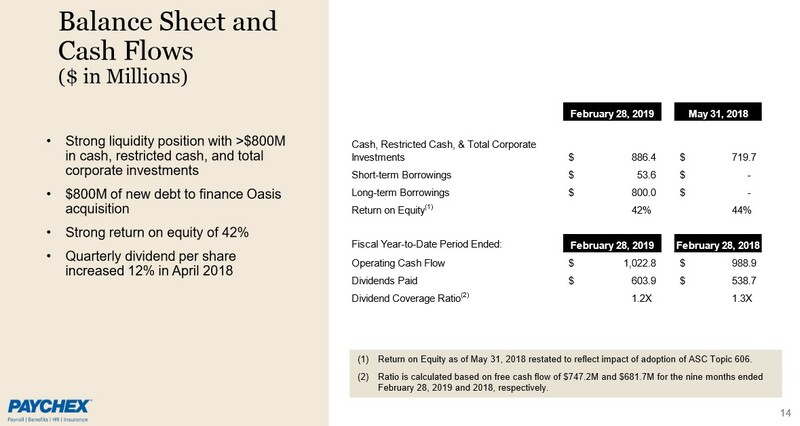 Despite using part of its cash to pay for the Oasis acquisition, PAYX’s cash position remains strong with cash, restricted cash and total corporate investments of $0.886B as at February 28, 2019; this includes long-term restricted cash and long-term corporate investments. Investors familiar with PAYX are used to looking at an impeccable Balance Sheet in which there is no long-term debt. 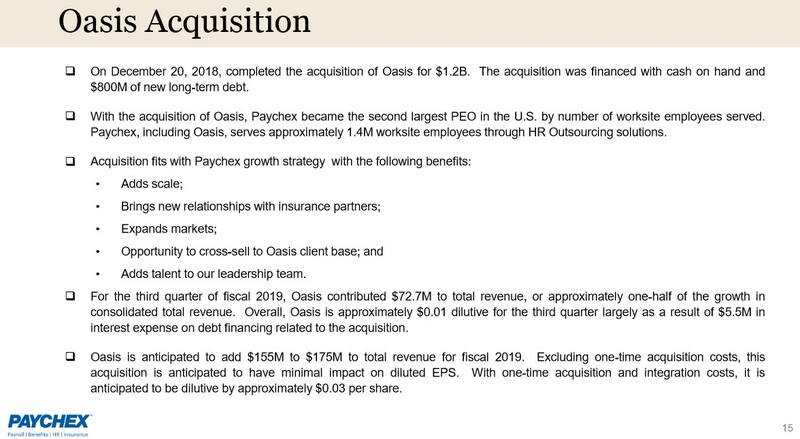 This changed in Q3 2019 as PAYX resorted to borrowing $0.8B for the Oasis acquisition. In addition, PAYX’s Goodwill and Intangible Assets has also jumped from ~$0.955B as at May 31, 2018 to ~$2.202B as at February 28, 2019. While the Balance Sheet is no longer ‘impeccable’, there is no need for alarm. PAYX has consistently generated strong Free Cash Flow (~$0.8B in FY2014 and FY2015, ~$0.92B in FY2016, ~$0.87B in FY2017, and ~$1.12B in FY2018) and I have no reason to believe this will change. 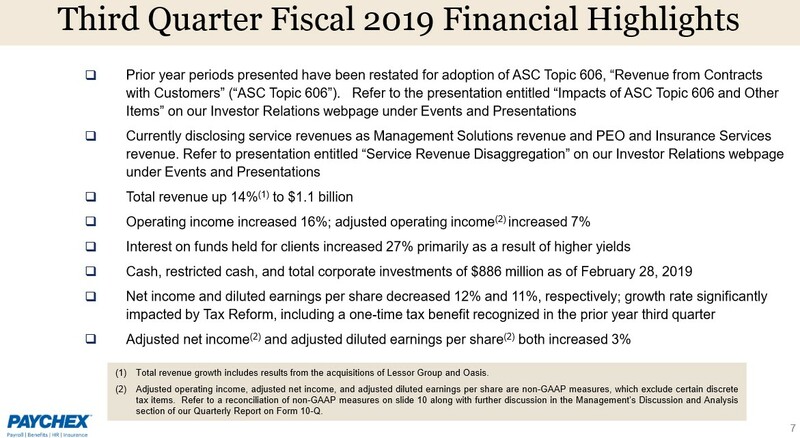 The following reflects guidance provided when Q2 2019 results were released December 19, 2018. The following is PAYX’s most recent guidance. Details on PAYX’s historical dividends can be found here and its stock split history can be found here. We see that PAYX recently paid its 4th consecutive $0.56/quarterly dividend and I expect PAYX to announce a dividend increase the last week of April. PAYX’s dividend compound annual growth rate for 1, 3, 5, and 10 years is 14.29%, 10.88%, 30.16% and 14.51%. In my opinion, PAYX will likely temper its dividend growth while it whittles away at the long-term debt incurred for the purpose of acquiring Oasis. As a result, I am conservatively anticipating the quarterly dividend will be increased by $0.04 (~7%) commencing with the May payment. 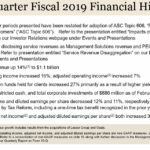 At $0.60/quarter or $2.40/year, PAYX’s dividend yield would be ~3% on the basis of the March 29, 2019 closing stock price of $80.20. I initiated a PAYX position on July 2, 2009 for our daughter’s Registered Education Savings Plan (RESP), sold shares April 13, 2017 to cover part of her education expenses, and re-acquired shares in a different investment account on March 27, 2018. In all the years I have held PAYX shares, rarely have I seen a dividend yield as low as ~3%. Over the timeframe in which I have owned PAYX I have been more accustomed to seeing a dividend yield closer to 3.5%+. I know this is not an exact science but if I take my $2.40 projected annual dividend and proceed on the basis of a reversion to the mean (3.5% dividend yield) then a stock price of ~$70 seems more reasonable. PAYX’s historical PE in 2013 – 2018, based on diluted EPS, has typically been in the mid to upper 20s with the 5 year average being ~26.6. We know that PAYX generated diluted EPS of $2.58 and adjusted diluted EPS of $2.55 in FY2018. 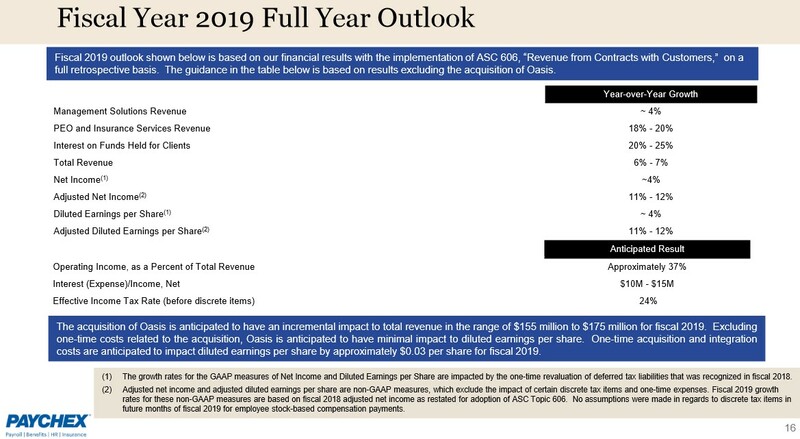 The most current guidance calls for a ~4% increase in diluted EPS and a ~11% - 12% increase in adjusted diluted EPS for FY2019. On this basis, investors should expect PAYX to generate ~$2.69 (rounded up) in diluted EPS and ~$2.86 in adjusted diluted EPS (using 12% and rounding up). Using the $80.20 March 29, 2019 closing stock price we get a ~29.8 PE and a ~28.1 adjusted diluted PE. 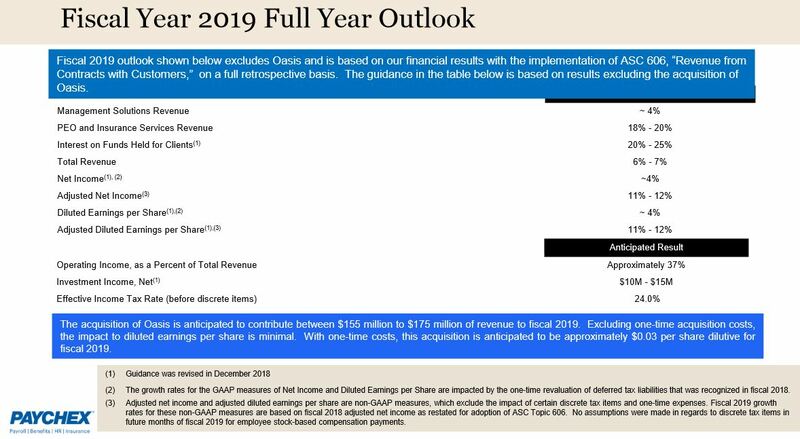 While FY2020’s outlook has yet to be firmed up I get ~$2.80 in diluted EPS and ~$3.20 in adjusted diluted EPS when I increase management’s FY2019 guidance by the same percentage growth as for FY2019. On this basis, PAYX is trading at ~28.65 diluted PE and ~25.06 in adjusted diluted PE based on preliminary estimates for FY2020. Some readers may wonder why I am not selling my PAYX shares if I think the valuation is stretched and a pullback is highly probable. First and foremost, I very rarely sell shares in great companies. If anything, I occasionally write short-term out-of-the-money covered calls when I think a company’s shares are trading at a lofty level; this is merely to skim some additional income. I pick strike prices where the company’s share price would need to increase quite a bit before reaching my strike price. So far this has worked out well although I found myself in a predicament when my Becton Dickinson (BDX) shares were called away because the share price exceeded my $250 strike price (March 15, 2019 expiry). Through a stroke of luck, BDX’s share price plunged March 18th so I repurchased the same number of shares which were called away for just under $244. I then wrote calls with a $260 strike price on March 21, 2019 with a May 17, 2019 expiry. 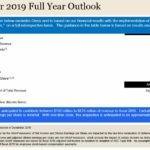 In preparing for this article I looked at short-term out-of-the-money calls. 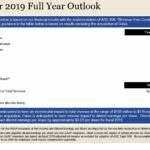 PAYX’s option premiums are razor thin, and therefore, I am not prepared to employ this conservative option strategy. If anyone is concerned PAYX no longer has an ‘impeccable’ Balance Sheet…fear not. PAYX generates ample Free Cash Flow annually which should enable it to continue to increase its dividend and to steadily reduce the $0.8B debt taken on for the Oasis acquisition. While PAYX is a great company, I can’t say the same for its current valuation. In my opinion, a 10%+ pullback in PAYX’s share price is not out of the realm of possibility; a quick look at a 5 year chart shows that PAYX’s share price has exhibited swings of this magnitude. I do not expect PAYX’s diluted PE to retrace to the low 20s evidenced during 2009 – 2012 but a retracement to a ~26 PE would give us a ~$70 share price. At this level I would look to increase my PAYX exposure. Disclosure: I am long PAYX.